Hubbell-Wiring Two 1-Pole 2-position rocker AC quiet switch in white color, has voltage rating of 120 - 277-Volt AC and current rating of 15-Amps. It measures 1.32-Inch x 1-Inch x 4.2-Inch. 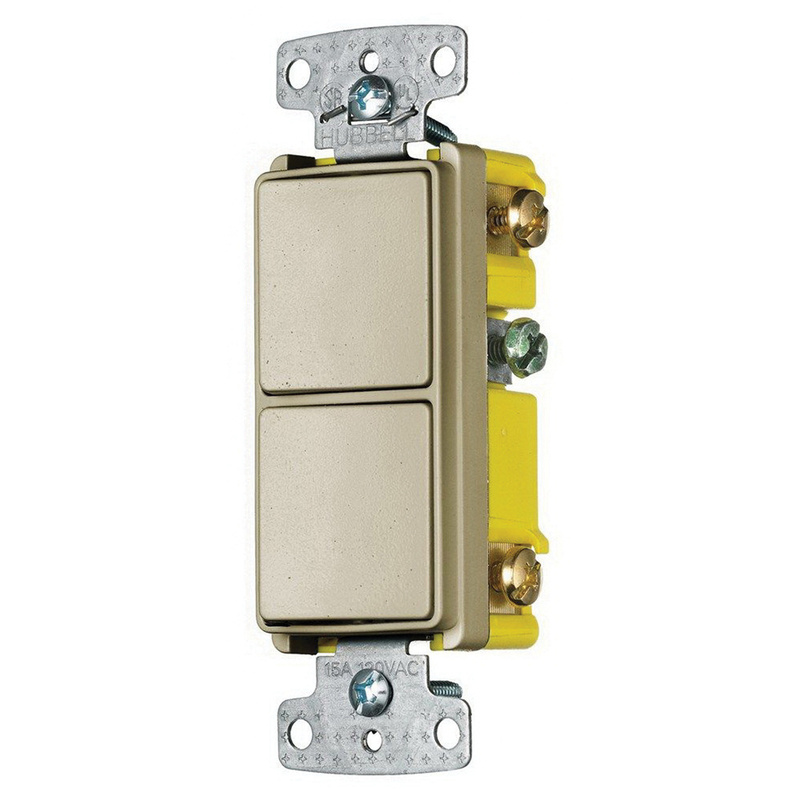 Self-grounding switch with snap switch action, has durable plastic base. It has side wiring for easy installation. Switch withstands temperature rating of -20 to 60 deg C. It is suitable for residential applications. Switch is UL listed and CSA certified.